HTC Desire Eye is on the news for quite a while now. And last night after the official announcement in New York we can say that most of them are true. It turns out it's the new Desire flagship. 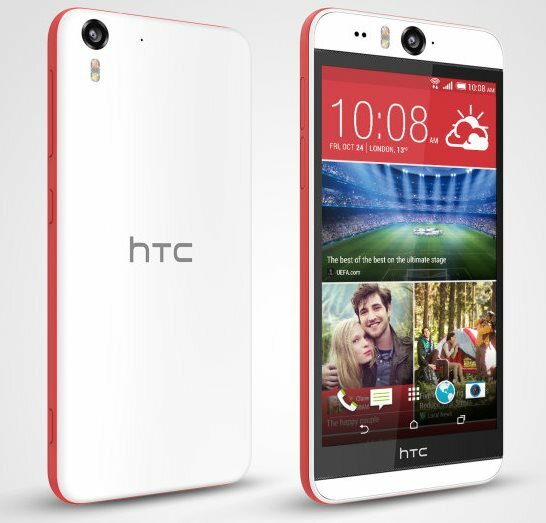 The HTC Desire Eye can be seen as an upgrade over the HTC One (E8). This is an Android smartphone with a whopping 13MP front facing camera — one should be perfect for all those selfies, and we expect to see some cool software to use things to their full potential. Aimed at the internet’s new obsession with selfies, the phone is sure to cater to the younger crowd. That give the Desire Eye a unique face – a much larger than usual front-facing camera is positioned above the screen and it gets a dedicated dual-LED flash and a microphone. It's getting the same treatment as the back camera, which has a dual-LED flash and a microphone too. There's another microphone on the bottom of the device for a total of three microphones used for better audio through noise cancellation. Both cameras can record 1080p@30fps video. The one on the back has an f/2.0 aperture and a 28mm lens, while the one on the front has a wider 20mm lens but a smaller f/2.2 aperture. The new hardware, which runs Sense 6 under Android 4.4 hood, features specs that are more indicative of the One lineup than the Desire brand, as it offers a 2.3GHz quad-core Snapdragon 801 chipset, 2GB of RAM, IPX7 waterproof rating, a 5.2-inch 1080p display, BoomSound and a 2,400mAh battery. The Desire Eye has 16GB of built-in storage, expandable by microSD cards up to 128GB and two front-facing stereo speakers, a large front-facing camera and a larger screen, the Eye is not the most compact device around, measuring 151.7 x 73.8 x 8.5 mm. The phone also boasts LTE connectivity, dual-band Wi-Fi a/b/g/n/ac, Bluetooth 4.0 with aptX, NFC and a microUSB port. 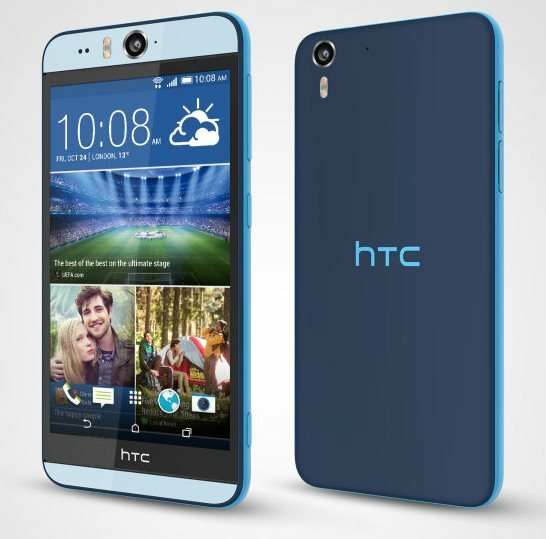 The HTC Desire EYE will be offered by AT&T exclusively at launch. Further availability and pricing details will be available later on. But the rumor says HTC is planning to price it in between its two lineups: The company says the Eye will be priced somewhere between the Desire 820 -- the 64-bit smartphone unveiled last month -- and the E8, which is a plastic version of the M8. HTC is also giving the camera app itself an overhaul, with their new “EYE Experience” coming preloaded on the device out of the box. The camera software suite features a handful of useful new “selfie” features, like split capture (taking a photo using both front and rear cameras), face tracking for video calls, and even screen capture should you want to share something stored on your device. HTC EYE Experience will roll out to the following models : HTC One (M7), HTC One (M8), HTC One (E8), HTC One mini, HTC One mini 2, HTC One Remix, HTC One Max, HTC Desire 612, and HTC Desire 816 in the coming months. Then there's the new Zoe. Recent HTC phones came with just a promise for a new app for months on end but the wait is over. 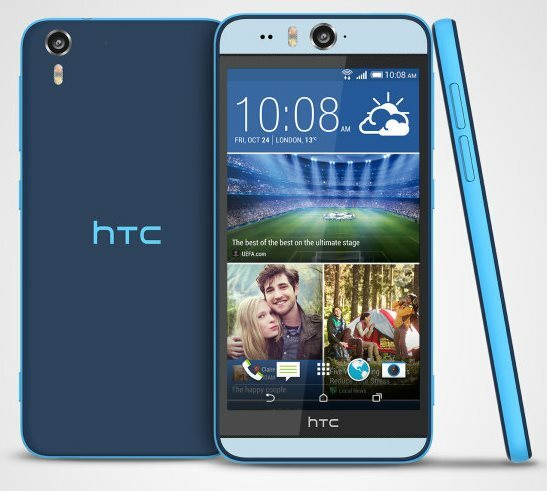 The new version offers collaborative video editing and it integrates with RE – HTC's new action camera. Zoe is not completely done even after all this wait, the new content engine will launch later this year.